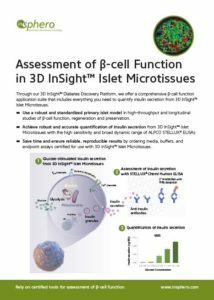 3D InSight™ Islet Microtissues are uniform, functionally robust, and long-lived microtissues derived from primary islets, delivered pre-qualified and assay-ready for studying islet function, regeneration and preservation. Prequalified islet microtissues, available bimonthly. 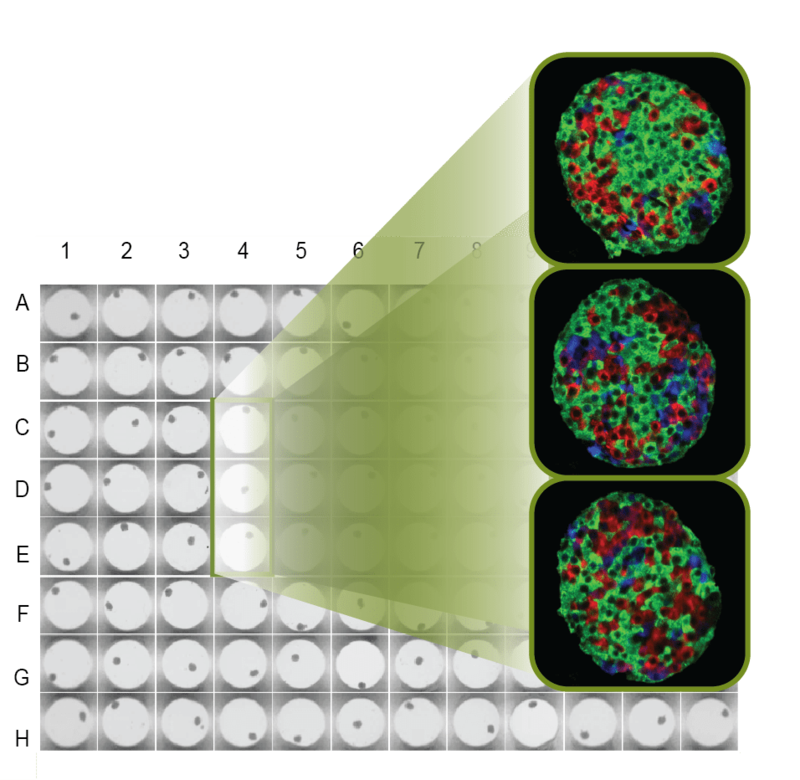 Standardized islet microtissues, available on demand. 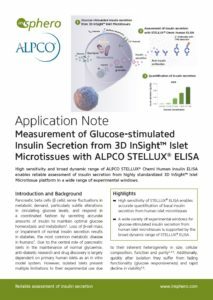 Production of 3D InSight™ Islet Microtissues starts with fine-tuned dissociation of primary donor islets, followed by controlled scaffold-free cellular reassembly and maturation in customized media that support maximum survival and optimal metabolic functionality of highly sensitive primary islet cells. The resulting uniform islets provide minimal intra-assay and intra-donor variability, while sustaining robust and long-term function. 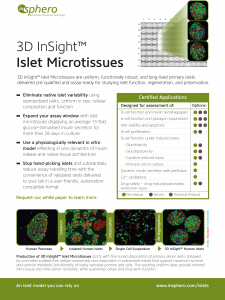 InSphero 3D InSight™ Islet Microtissues are next-generation 3D models for Diabetes drug testing and islet research. 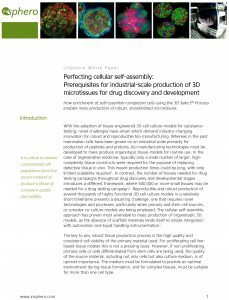 Learn more about how we produce standardized, long-lived islets in our White Paper.